Perfect for a fall outfit. 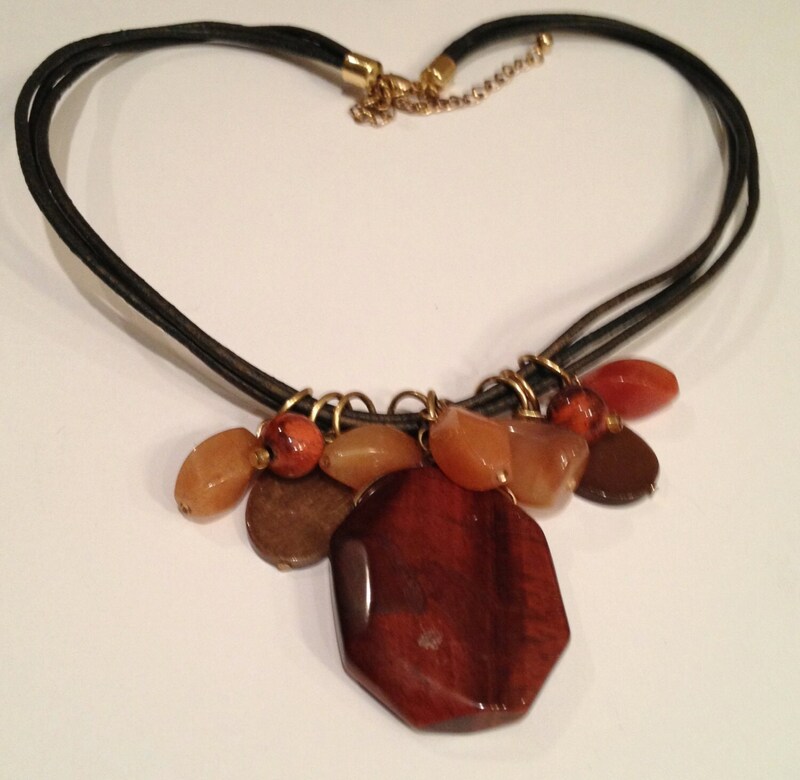 Fall colors gemstone and black leather 3-string necklace This necklace measures 17" long (adjustable up to 20" ) with the longest central bead measuring 2". The clasp consists of a gold-color spring-hook and eye.